My recipe amounts are my approximate amounts. You can add more or less depending on your taste preferences. 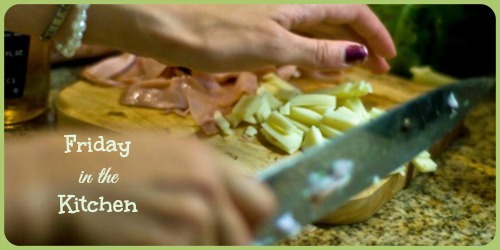 It's a pretty flexible recipe. 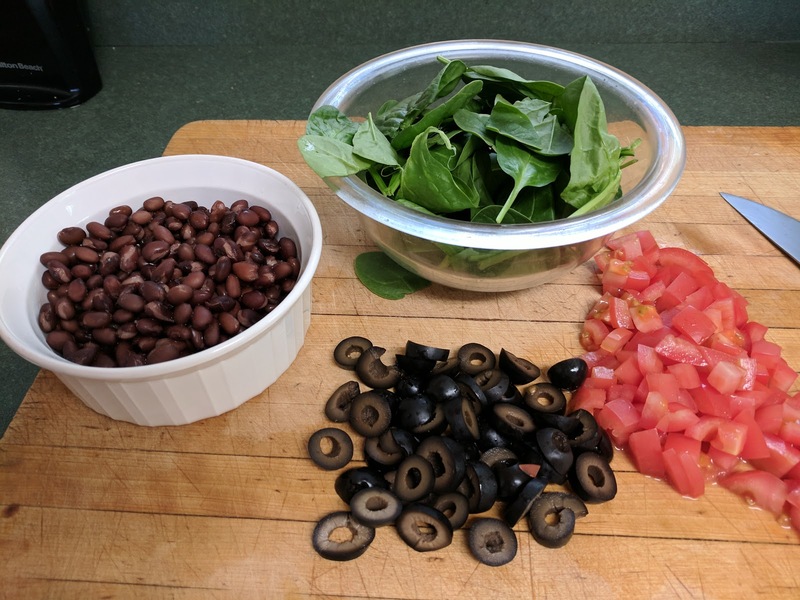 Combine tomato, olives and black beans and spinach. 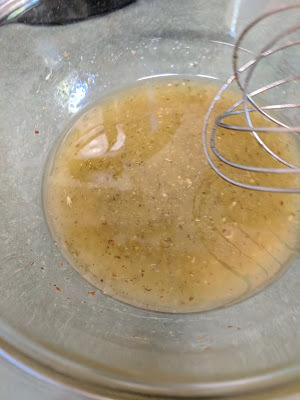 Add dressing and toss to coat everything evenly. 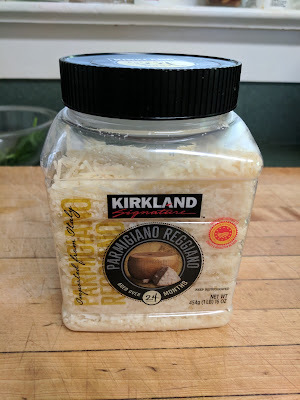 Add cheese and stir it in. 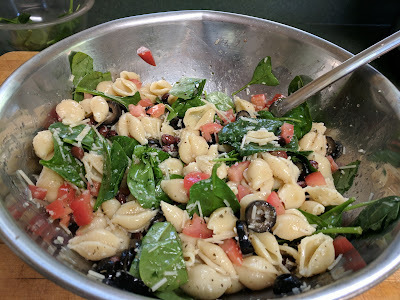 Put in fridge for a couple hours to allow flavors to combine. The other morning was a rainy cloudy cool morning. It wasn't actually Sunday morning, as my hubby works that day but it was his day off. He got the fire going and did a few things around the house. I was puttzing around with a few chores as well. Typically neither of us are big breakfast eaters. Around 11:am my hubby said he was feeling a bit hungry. So I went to the kitchen to pull something together for us to eat. I decided on waffles, bacon, eggs and fruit. I used Bisquick to make the waffles and added 1 teaspoon of pumpkin pie spice to the batter. I contemplated adding a little pureed pumpkin but decided not to because I would have had to open a large can of puree and then figure out what to do with the rest so it would not go to waste. The pumpkin pie spice was perfect and gave the waffles a nice little autumn like taste. 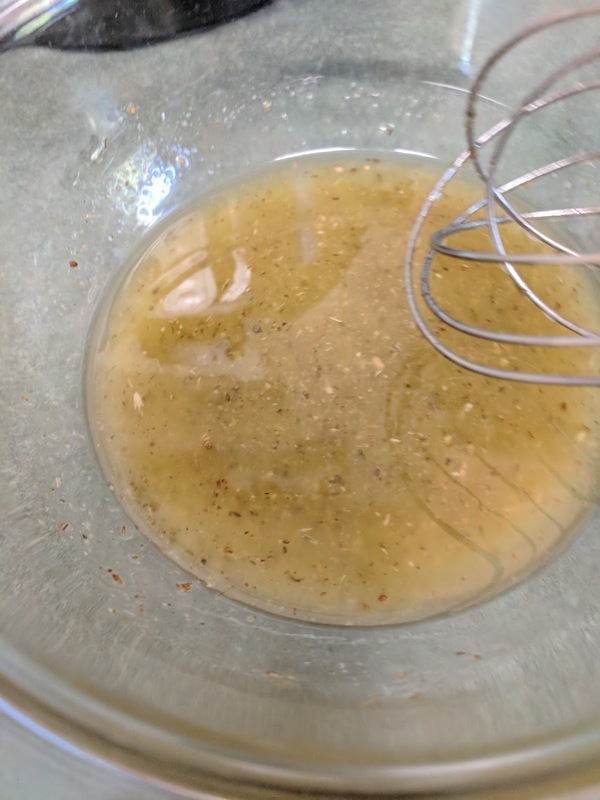 You can add the spice to your own homemade waffle batter if you don't use Bisquick. I cooked up a few slices of bacon and fried us up some eggs. Then washed a few grapes and some strawberries. 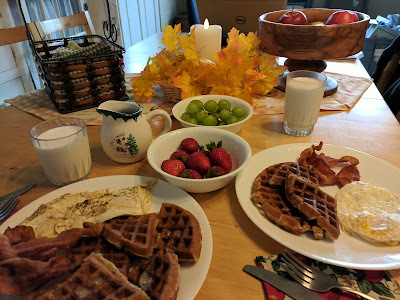 When I set the table and we were getting ready to eat I snapped a picture because it looks so pretty and perfect quite cozy for a dreary fall mid morning. Pasta dish looks ever so tasty. Thank you for the recipe.